Whether you’re working (or considering working) with us here at Sharpmonkeys, or a similar digital marketing agency, it’s important to know how to get the best out of the relationship. You want results and we want to help you get those results, but perhaps you have some concerns about outsourcing to an agency. We understand, so we want to share some of the benefits you can gain by outsourcing and give you some advice on how to get the most out of the relationship and your selected SEO services. Many SMEs start dabbling with SEO but only get so far. You might have been working hard updating your website, making it mobile friendly, carefully working on the architecture of the site and the layout. You could have been creating new content, landing pages, blogs, crafting sensible page titles and perhaps working on social media too. These are all positives but by working with SEO experts you could take advantage of some additional techniques that will really deliver the results you’re looking for and have been working for over the past few months (or years in some cases). 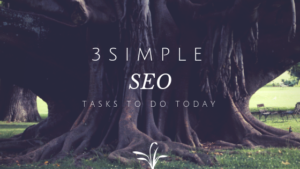 Workload limitations of you and your staff can result in SEO being pushed to the back of your to-do list. You can solve the problem of having limited time and resources by hiring a new marketer, giving the responsibility to one of your current members of staff (providing training where necessary) or by working with a digital marketing agency, using their expertise in SEO and reliability to get the job done efficiently. No In-House SEO Expertise? No Problem! Limited knowledge is to be expected if you or your staff are not trained in SEO. SEO requires the ability to add code to Google Analytics and Webmaster Tools, optimise your website using your CMS, redirecting and changing URLs, adding schema mark up and so on. We can provide you with digital marketing training services, or you could choose to pass the job over to us. Don’t fall for firms that make false promises. When you work with any agency it’s vital that you ask the questions, read the reports and raise any concerns you have or ask for clarification if necessary. It’s also important to listen to recommendations that are being made and work together as a partnership to get the best results. Tell us all about your business, your customers and what they want, your products or services, why and when your customers come to you, the USP, basically everything about your business that will help us to get the best results in the search engines. The more we know the better armed we’ll be when it comes to giving Google the right information so they’re able to deliver your website to the search pages and visited website pages of your targeted audience. Our job is to make your website and business easily accessible, to share your information and to help build trust. We can do this with our SEO services and digital marketing services most effectively when you share your business knowledge with us. Don’t hold back! SEO isn’t something that can be dipped into every six months or so, it needs commitment. We will commit to your website helping you to make gains in the search engines. Google is a sophisticated search engine that wants to give their users the most accurate results. Our SEO services will help you to be found by your target audiences regardless of the device they use to find you. We also provide PPC services, advertisements that are often given precedence in Google’s search pages. Call us today and we’ll arrange a time to discuss your requirements and ideas in detail and discuss how our SEO services can be used to benefit your business.